• Broccoli is rich in fibre and lowers blood pressure and cholesterol levels. It also improves insulin sensitivity. 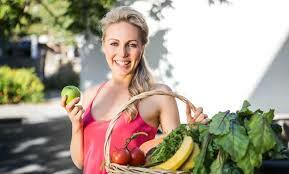 • For optimum health it is vital to include both soluble and insoluble fibre daily. Soluble fibre is found in foods such as psyllium husk, apples, oat bran and legumes (chickpeas, lentils). Sources of insoluble fibre include whole grains, broccoli, nuts, seeds and vegetable skins. • In addition to reducing cholesterol, broccoli can aid in heart health by helping to keep blood vessels strong. 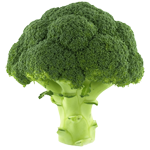 • Add More broccoli to your diet as it is a rich sources of antioxidant carotenoids, vitamins and minerals. • Cabbage has a range of health benefits — they are a great source of Vitamin C and are loaded with manganese. 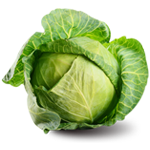 • Cabbage, being rich in iodine, helps in proper functioning of the brain and the nervous system. • Cabbage is known for its high levels of sodium, which help in detoxification of the liver. • Cabbage are rich sources of minerals that are integral in the protection of bones from degradation. • Black cardamom is useful for people suffering from respiratory problems. The spice warms up the respiratory tract to facilitate air circulation. • Cardamom works as a warm digestive tonic that can deal with indigestion, flatulence and acidity. 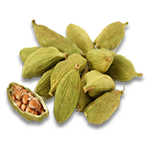 • Cardamoms are very helpful to detox the body. They are rich in Vitamins A, B, C, and remove excess urea and toxins from the kidney. 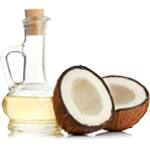 • Coconut oil can increase your energy expenditure, helping you burn more fat. • Coconut oil lowers cholesterol levels and risk of heart disease. It is a great grooming product as well, for the skin and hair. • A dab of coconut oil on a cotton pad is a natural makeup remover. It cleanses and moisturizes the skin without harming it. 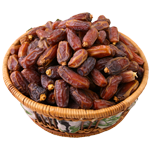 • Dates contain organic sulfur, which help in the reduction of allergic reactions and seasonal allergies. • Dates are known to boost the immune system as they are loaded with nutrients. Eating them regularly keeps chronic diseases at bay. • Eggs contain a nutrient called choline, which is used to build cell membranes and produce signalling molecules in the brain. 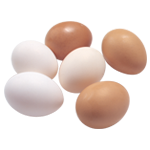 • Eggs are rich in Vitamin D. They strengthen the immune system and make the body resist common ailments. 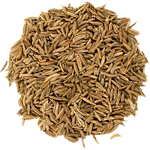 • Drink fennel tea made from brewing fennel seeds in water. It will help cure acne and make your skin look youthful. • Suffering from hair loss? Infuse oil with garlic and massage it into your scalp for luscious locks. • Garlic is low in calories and rich in Vitamin C, Vitamin B6 and Manganese. 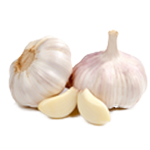 • Garlic helps remove scars and marks from the skin. Just add mashed garlic to any hot oil and massage the affected area. 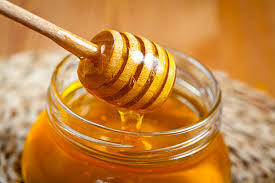 • Honey works as a natural antibiotic, killing the propionibacterium which causes acne. Its acidic property doesn’t allow bacteria to grow on your skin. • A teaspoon of honey with freshly crushed pepper can help provide relief from cold and cough. 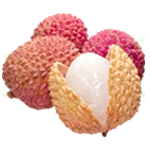 • Litchi keeps digestion strong, maintains a clean stomach, improves appetite and cures heartburn and burning sensation in the stomach. • Keep your skin supple and healthy by eating litchis. They are loaded with antioxidants and battle the damage caused any free radicals. • Litchi is a rich source of phosphorus and magnesium, which aids in strengthening brittle bones. • Litchis are rich in phytochemicals and have antineoplastic properties. These chemicals curb abnormal cell growth and prevent cataract formation. • Add more mangoes to your diet. Rich in dietary fibre, vitamins and minerals, it protects one from breast and prostrate cancer. 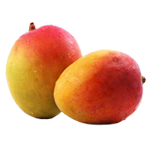 • If you experience weakness, then eat a piece of mango every morning on an empty stomach. • Mangoes are loaded with antioxidants. They prevent pigmentation and early onset of wrinkles. • One cup of sliced mangoes supplies 25 per cent of the needed daily value of vitamin A, which prevents dry eyes. • Onions are an effective cure for common cold, sore throat and allergies. Have a spoonful of onion juice mixed with honey to cure symptoms. • Honey onion soup is wonderful for healing sore throats. • Having papaya in your diet will help you prevent recurrent ear infections, cold and flu. • Papaya can help keep your digestive system healthy. It helps keep indigestion, acid reflux and stomach ulcers at bay. • Applying papaya paste over your face and leaving it for 30 minutes can help reduce pimples. • Being a good source of Vitamin A and Papain, papaya helps in removing dead skin cells along with breaking down the inactive proteins. 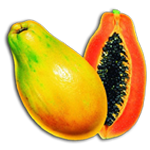 • Papaya has great antimicrobial properties that help to kill bacteria, and help heal a wound faster. • To rid yourself of sleepiness, shake drops of aromatherapy oils like rosemary, lemon or juniper on a tissue and inhale for a few seconds. • Before a meeting, try smelling fresh rosemary to stay sharp. • Rosemary has been known to improve one’s mood and alleviate extra anxiety and stress. • Rosemary is a rich source of Vitamin A, which is required for maintaining mucous membranes. • Rosemary is known for its astringent and antibacterial properties. It helps treat dental issues and prevents plaque from forming. • Add a healthy dose of spinach to your diet for all your vitamin K needs. It will help fortify your bones. • Add more spinach to your diet as it is rich in vitamins and minerals and is also loaded with phytonutrients such as carotenoids. • Spinach is high in vitamin C, which helps to lower hypertension and also reduce stress and anxiety. • Spinach is rich in the amino acid glutamine, which raises growth hormone level and protein synthesis boosting leucine in muscle tissue. • Spinach is very good for maintaining gastrointestinal health. It has beta-carotene and Vitamin C which protect the colon. • Eat five teaspoons of tomato paste daily for better sun protection. The fruit’s lycopene helps improve the skin’s sun protection factor. • Eating foods that are rich in water content and fibre like tomatoes can help with hydration and promote regular bowel movements. 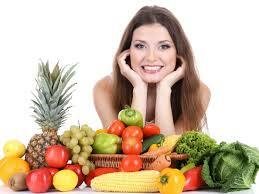 • Have at least five portions of vegetables and fruit a day, especially tomatoes, red grapes. • Since tomatoes are in Vitamin A, they work well to keep your hair strong and lustrous. • Tomatoes are loaded with potassium. The mineral is useful for stabilising one’s heart rate and prevents heart diseases. • Peaches are rich in beta-carotene, which gets converted into vitamin A within the body. • Peaches contain bioactive components that have shown beneficial effects in combating obesity-related disorders. • The peels and the pulp of peaches possess significant antioxidant properties. • Peaches contain potassium, which is vital for proper nerve signaling and cellular functioning of the body. • Peaches help in maintaining healthy skin owing to the presence of a good amount of vitamin C, which also provides a defense against harmful free radicals and infections. • Gooseberries are used in many hair tonics because it enriches hair growth and hair pigmentation. It strengthens the roots of hair, maintains color, and improves luster. • Drinking Gooseberry juice with honey is good for improving eyesight and studies have shown it to improve near-sightedness and cataracts while reducing intra-ocular tension. • Amla is rich in protein which helps in cellular growth, muscle development, organ health, and a wide range of metabolic activities that we need to remain healthy. • Peppermint oil acts as a painkiller and muscle relaxant. Helpful in sore muscles and melting away tension headache. • Peppermint removes your sinuses and offer relief to scratchy throats. Do provide relief form colds, cough, asthma, and bronchitis. • Adding few drops of peppermint oil to your shampoo and conditioner to stimulate scalp removes dandruff, energize mind and to wake up! • Peppermint oil hydrate burnt skin and relieve the pain from sunburn. Mix Pepermint oil with coconut oil and apply directly on affected area. • Drinking lemon water the first thing you do when you wake up may help get your digestive system moving. • Citrus fruit like lemon is good source of vitamin C, is a primary antioxidant that helps protect cells from damaging free radicals. • Vitamin C helps protect form cardiovascular diseases and lower blood pressure. • Keep your breath sweeter by drinking a glass of lemon water after meals and first thing in the morning. Lemon is thought to stimulate saliva. • Lemons significantly reduced weight gain caused by a high-fat diet in mice. • In addition to looking better and being healthier, aerobic exercise increases your stamina, giving you more energy for both work and play. 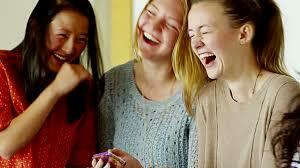 • Improve your immune function, lower your blood pressure, you will sleep better and wil handle stress better. • Aerobic exercise has been shown to increase your confidence, emotional stability, memory, and brain function. • Besides strengthening your heart and lungs, aerobic exercise can help lower your cholesterol, reduce your risk of Type II Diabetes. • Aerobic exercise burns up calories, which can in turn help you shed excess weight. • Going on a gluten-free diet? Add almonds to it. They provide much needed iron, fiber and protein. • Feel a headache coming on? Cut a green apple in half and smell it to reduce the brain thumping symptoms of a migraine. • Eating apples reduces chances of getting a stroke. • Ice apple is highly nutritious and is loaded with carbohydrates. It has a nearly neutral ph reading. • Water apples or Syzygium samarangense, are loaded with Vitamin A. They help to maintain good eye health. • Your pearly whites can gleam. Eat apples, oranges, celery, carrots and high fiber green. • Biting and chewing an apple stimulates the production of saliva, reducing tooth decay by lowering the levels of bacteria. • Wash your hair with apple cider vinegar to get rid of dandruff. It has enzymes, which will help open hair follicles. • Apple cider vinegar is known to lower blood glucose. It also helps with weight loss and reduces one’s blood pressure. • Apple cider vinegar has germicidal properties that can help cure a sore throat. Gargle with equal quantities of water and apple cider vinegar. • Aloe Vera gel is loaded with proteolytic enzymes that help remove dead skin and cells. • Eat two bananas before a strenuous workout to pack an energy punch and sustain your blood sugar level. • On a hot day, eat a banana to lower your body temperature. It will also help you bring a fever down. • Bananas are high in magnesium and potassium which relax the blood vessels and maintain electrolyte balance to cure a headache. • Bananas can reduce cramps associated with menstruation as they are loaded with potassium, which helps reduce water retention. • Research suggests that this Ayurvedic herb, also called holy basil, may help manage levels of the stress hormone cortisol, helping to boost your mood. • Basil has low calories and is rich in compounds known to have anti-inflammatory and anti-bacterial properties. • Expecting mothers should add green beans to their diet — they are a good source of folates which help in cell division. • A serving of beans, rich in protein, will make you full, restrict blood sugar and stave off hunger. • Kidney beans are an excellent dietary choice for diabetics and those who want to stabilize their blood sugar levels. • Having trouble sleeping? Have soybeans. They contain magnesium, which affects the quality of sleep. • Beetroot can increase the blood flow to the brain which in turn reduces the effect of dementia. • Beetroot helps maintain healthy skin by reducing acne and pimples. • Beetroot are rich in soluble fibres that help reduce and control bad cholesterol. Add them to your regular diet. • Beetroot has nitrates which ensure adequate blood supply and hence oxygenation to all parts of the body equally. This, in turn, prevents fatigue. • Have a glass of beetroot juice every day to keep osteoporosis and brittle bone disease at bay. • Bitter gourd is a rich source of cellulose, which adds to you daily dietary requirement of fibre and improves digestion. • Bitter gourd is essential for maintaining good cardio-vascular health. It helps reduce bad cholesterol that clogs up the arteries. • Bitter gourd is rich in beta-carotene and potassium. It helps relieve constipation and improves circulation. • Bitter gourd is a rich source of cellulose, which takes care of the quota of fibre that your body needs, thus improving digestion. • Bitter gourd fights viruses and bacteria and strengthens your immunity. It prevents allergies and indigestion.